After completing the payoff period of the RER-project the net cost of electrical energy generated by RER-based sources decreases sharply, as in most alternative energy technologies there is no fuel constituent. The installed capacity of RES generation in the world (without large HPPs) reached 390 GW by 2011, satisfying 8.2% of global electrical energy demand. In Russia the share of RES generation in the consumption structure is less than 0.8%. 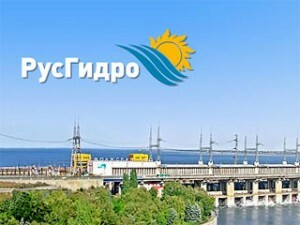 In the long-term perspective the development of renewable energy will lead to price reductions in the electrical energy market, this was announced by the Director on Innovations and RES at RusHydro Mikhail Kozlov at the seminar dedicated to the perspectives of alternative energy development in Russia and to pilot projects of the Group. As Mikhail Kozlov points out it is very important to adopt the complete set of regulatory documents on stimulating the production of electrical energy based on renewable energy sources including the isolated areas/ Until the formation of the support system in the Russian Federation has not been completed, the RES projects are mostly economically inefficient. Creating a special mechanism of support for RES generation at the wholesale market will enable to attract investment into the industry and to create basic conditions for the development of domestic scientific and production base. As the acting director of the RES department at RusHydro Dmitriy Smolin point out it is a capacity supply agreement that must become such a mechanism. This mechanism is widely used today in the traditional energy. Creating a really working mechanism will enable starting the implementation of RES programs in Russia and proceed from separate projects in the isolated areas to their full-scale implementation. RusHydro became of the of the first companies in Russia, which started the implementation of pilot projects in the field of alternative energy. The company has a portfolio of perspective projects in the sphere of alternative energy and is ready to industrial replication of its technologies. At present RusHydro is implementing a pilot project in Kamchatka aimed at creating the binary generating unit at Pauzhetskaya Geothermal power plant with the installed capacity of 2.5 MW, is exploiting Mutnovskaya geothermal and Kislogubskaya experimental power plants.